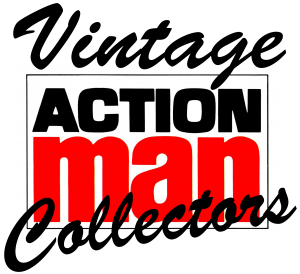 1977-1984 saw the last incarnation of Action Man before his final deletion in 1984. 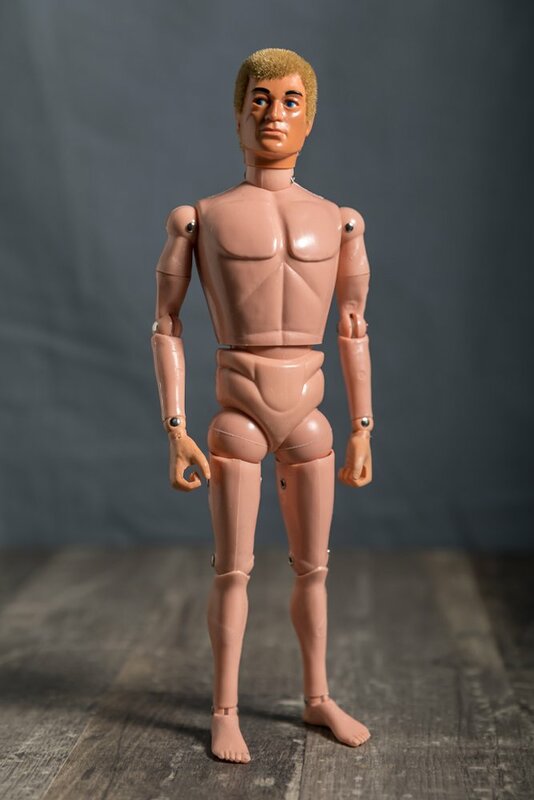 Eagle Eyes was introduced in 1977 simply placed on the original body type (known as Hybrids) then in 1979 the dynamic physique was introduced as a cost effective improvement over the original. 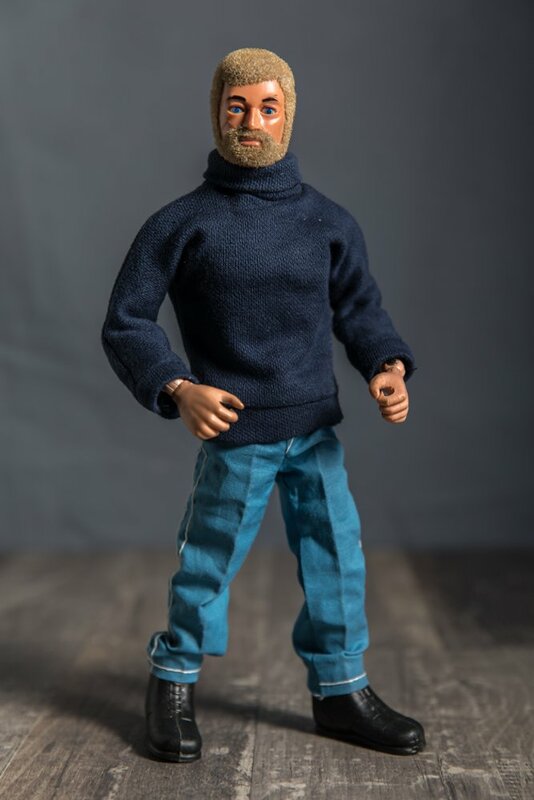 It seems Action Man was unstoppable and had come along way since his UK birth in 1966. 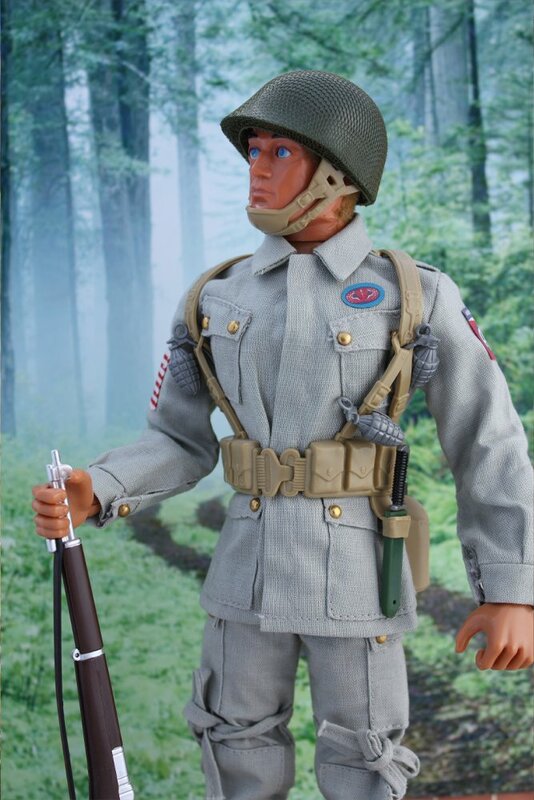 As always we rank figures and outfits based on mint loose examples but we encourage you to use your own judgement. 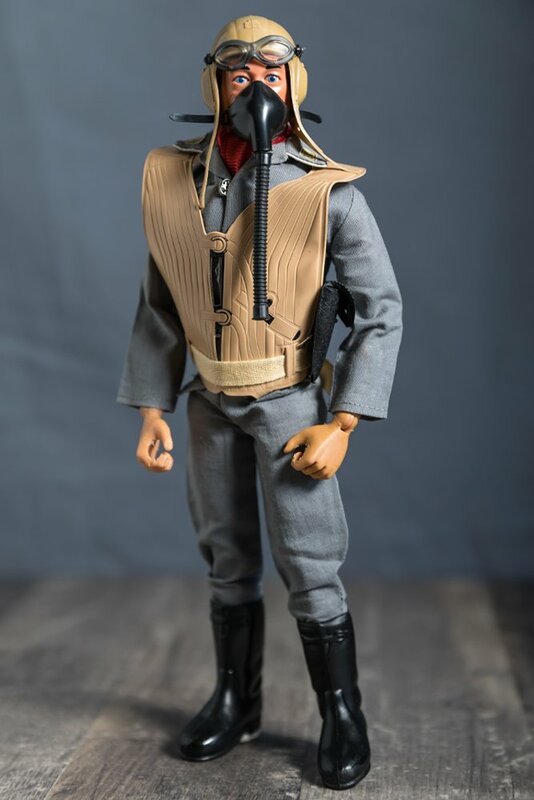 1977 Action Man Eagle Eyes, also called Hybrids due to the fact that the old body type was used with just the introduction of the Hasbro designed Eagle Eyes Head, Most people prefer this marriage over the later introduced Dynamic Body. 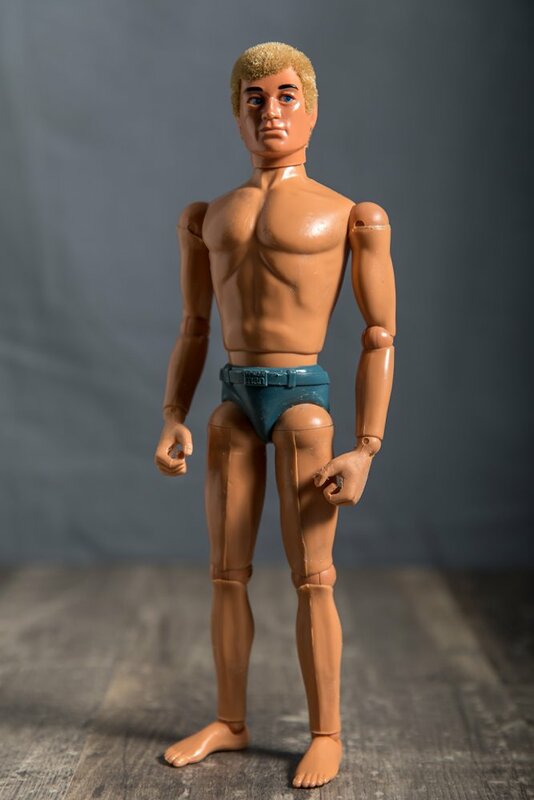 1979 Action Man Dynamic Physique, Cost in moulding and repairs saw Palitoy look for a cheaper alternative in body type, 1979 saw the introduction of the Dynamic Physique, cheaper to produce and it gave Palitoy another marketing gimmick to help push sales. 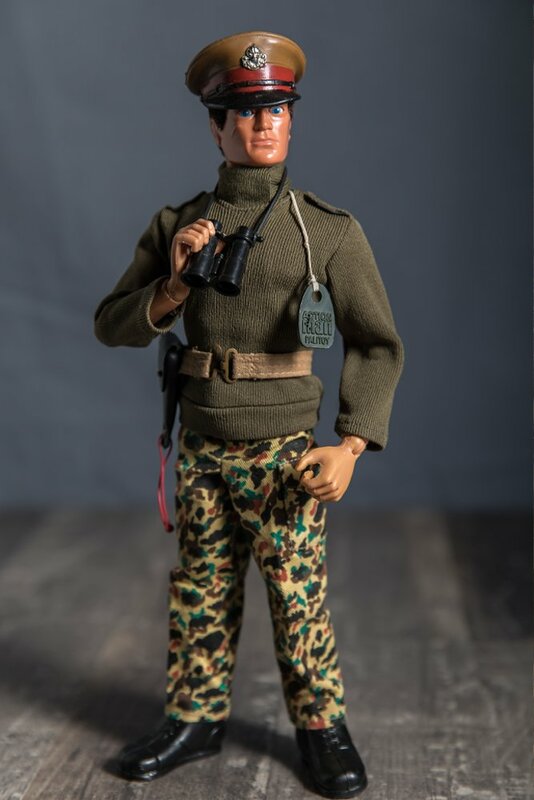 1977 Tom Stone, A Member of the Action Man Team, this Hasbro design was picked up by Palitoy and added to the line up of boxed figures, Different body type to Palitoy’s design this figure suffers from perished rubber that hold the limbs together. 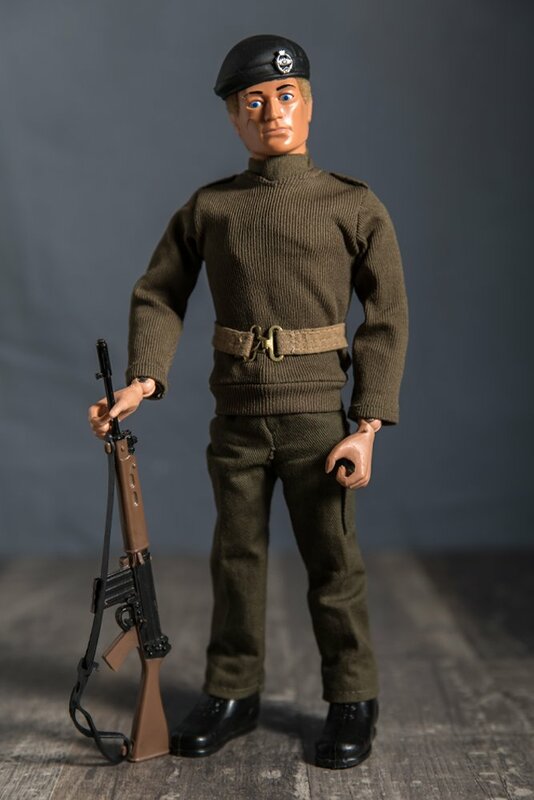 1977 Soldier, The basic soldier now came with rubber SLR strap and Eagle Eyes, still a firm favourite and some collectors prefer the plain green trousers over the later camouflage version. 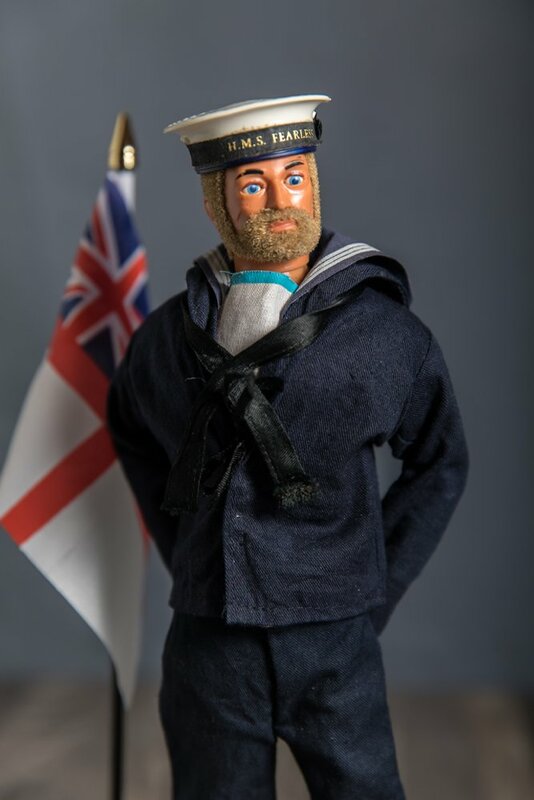 1977 Sailor, Almost identical to the earlier version except the zipper has been replaced with poppers cap tally would either be: HMS Arc Royal, HMS Victory,Feerless,Renown,Dreadnaught, Rumours are rife with a HMS Belfast that was only available in limited numbers. 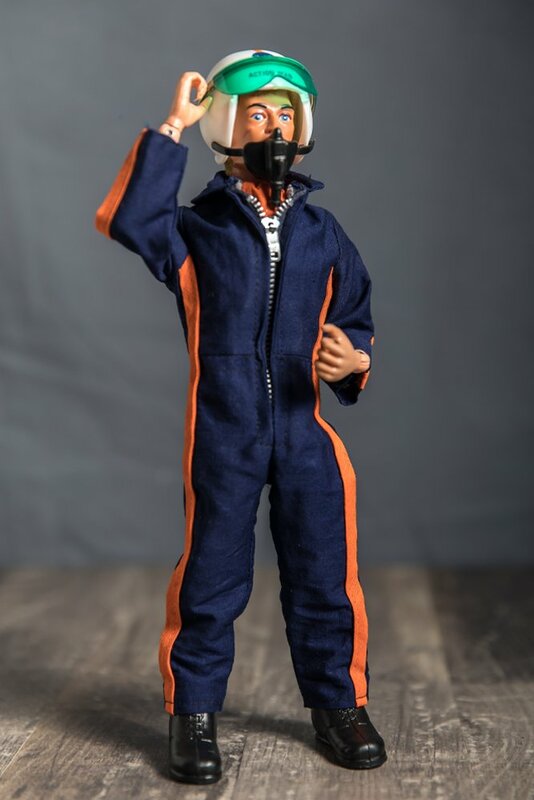 1977 Adventurer, The classic adventurer now sports the new Eagle Eyes head and is ready for action, no accessories were supplied with this outfit and is easy to complete although hugely popular amongst the collectors. 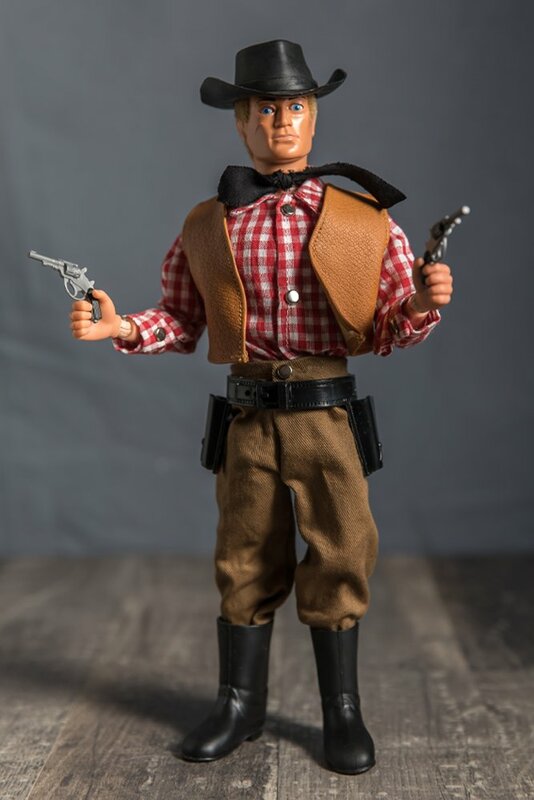 1977 Cowboy The western range was not a huge seller for Palitoy and the range was not expanded like it was in the rest of Europe. 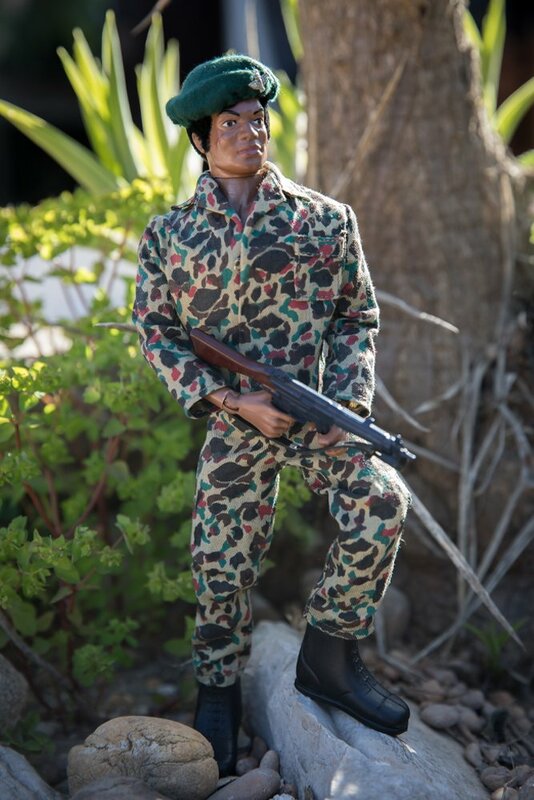 although the outfit is common the boxed figure is difficult to find. 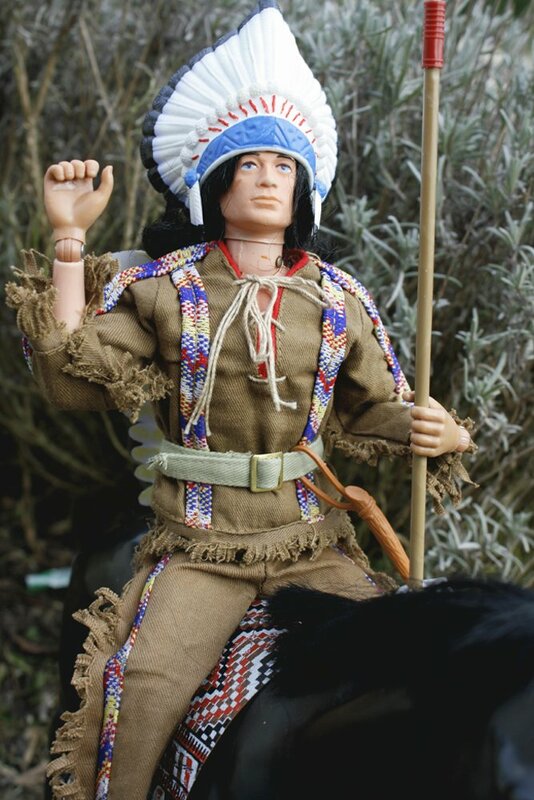 1977 Indian Brave, This boxed figure accompanied the Cowboy, again not a popular figure, the image shows the Indian Chief headdress and spare that came on a Geyper Man (Spanish Version) accessory card. 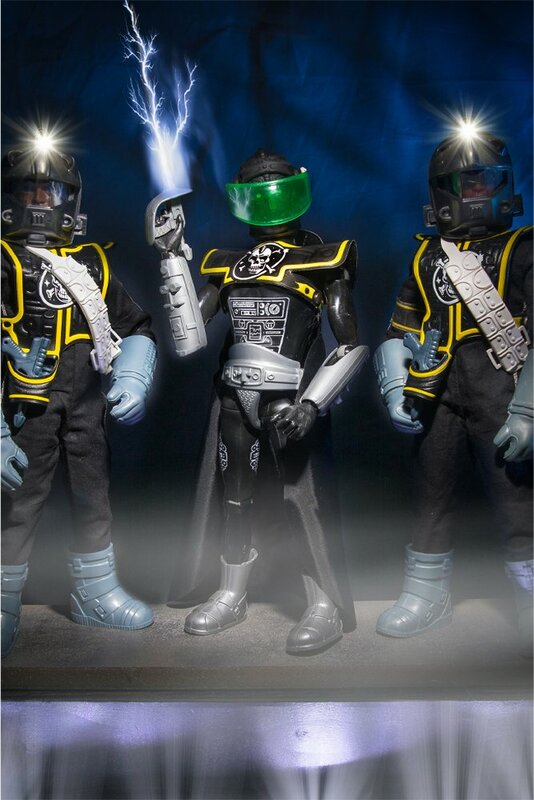 although the boxed figure is rare the outfit is easy to obtain. 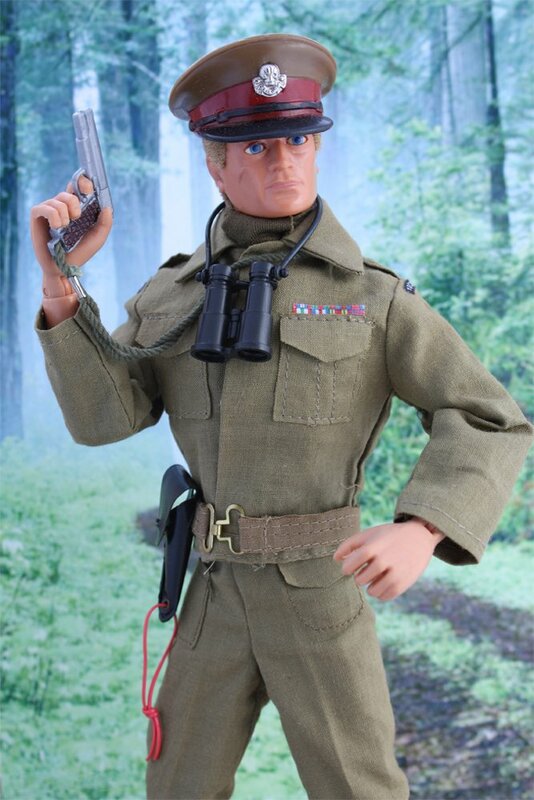 1979 Saw the last of the ceremonials outfits, The Royal Hussar, although thinner more cost effective material was used the Royal Hussar is still a highly detailed. 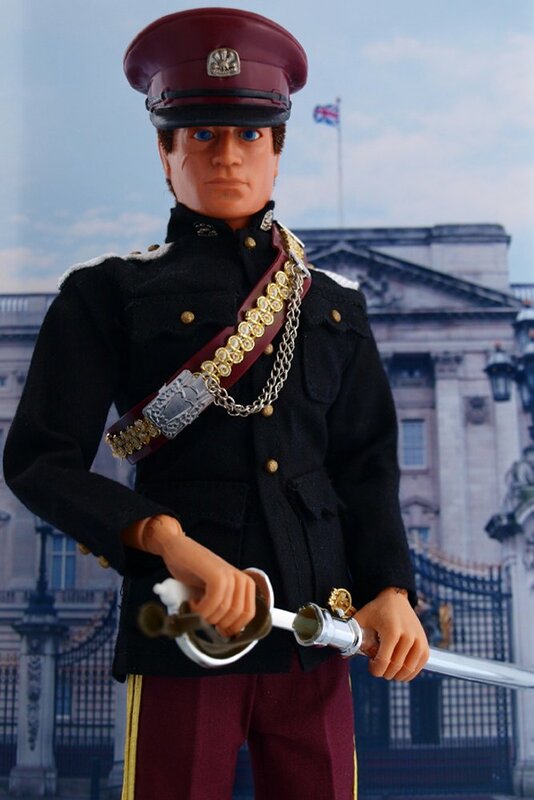 a gold belt is also included with the outfit and many place the belt over the tunic however this is incorrect and should be worn underneath. 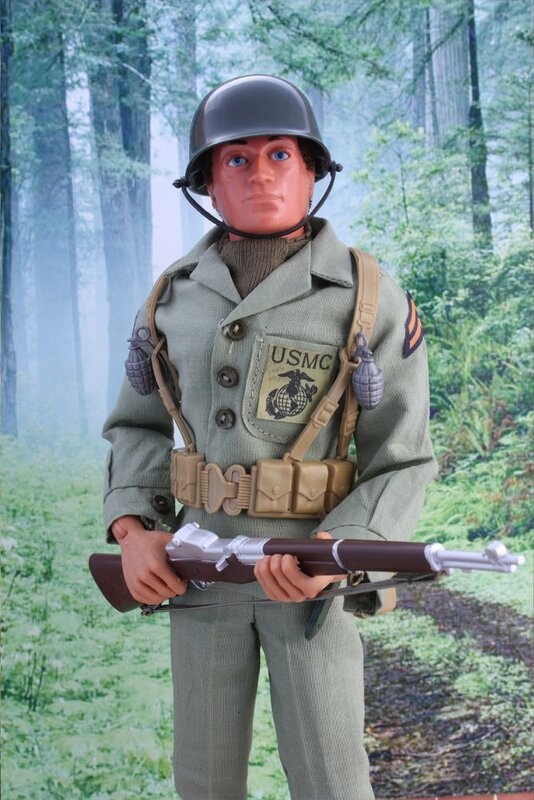 1979 US Paratrooper. 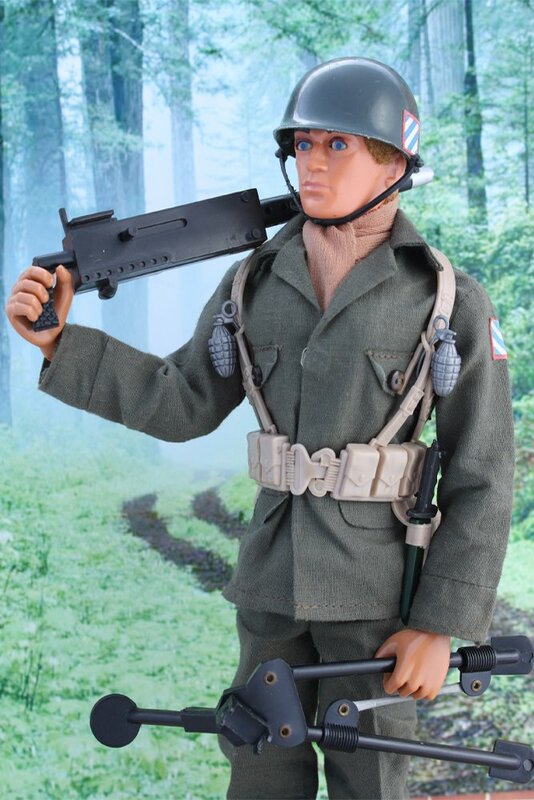 82nd Airborne paratrooper of World War Two, unique to this outfit was the rubber moulded chin strap. 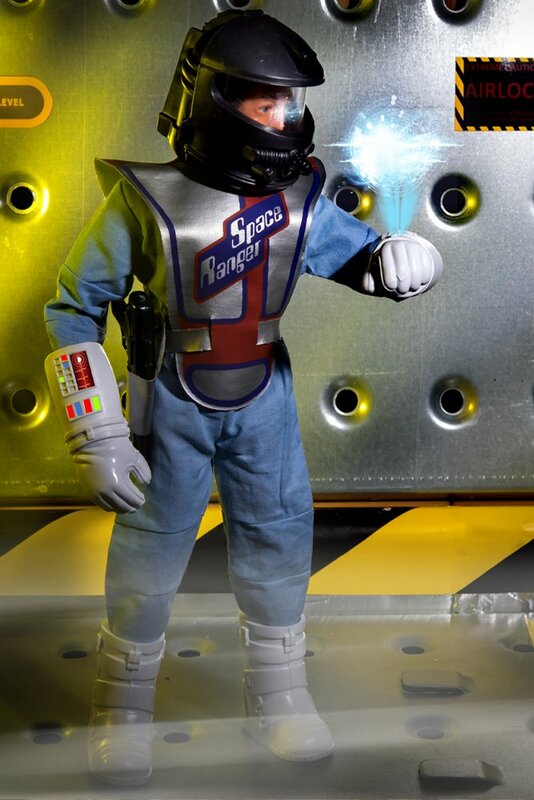 The rubber webbing suffers from breakage at the buckle so be mindful when searching for this uniform. 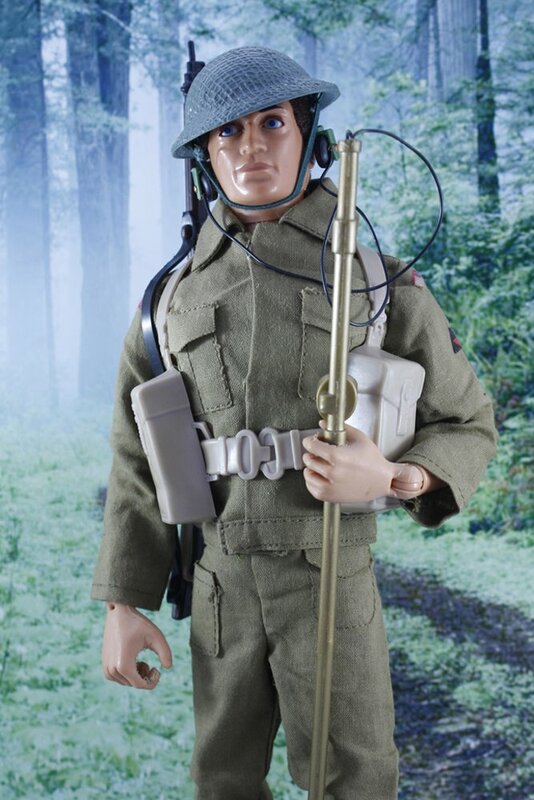 1981 British Infantryman, a total re-design using lighter weight material and even plastic water bottle pouch as opposed to the original material one, this version now compliments the British Major and Royal Engineer. 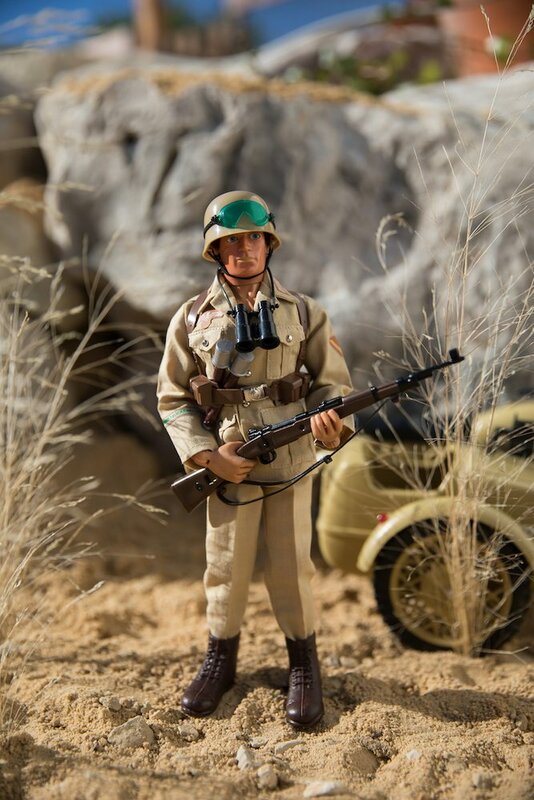 Afrika Korps, First released in 1978 as part of the internationals which just comprised of the tunic, trousers and field cap the uniform was soon expanded in 1980 to include a fully kitted out DAK Lance Corporal. 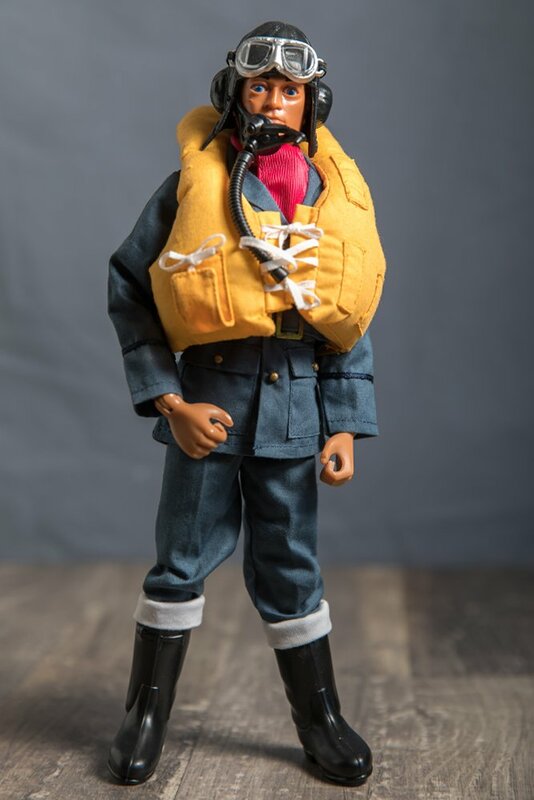 1979 Battle of Britain Pilot, Created to celebrate the 40th Anniversary of the Battle of Britain, this very cool uniform is a firm favourite amongst collectors and it is easy to see why, please note the white socks have been added and are not part of the set. 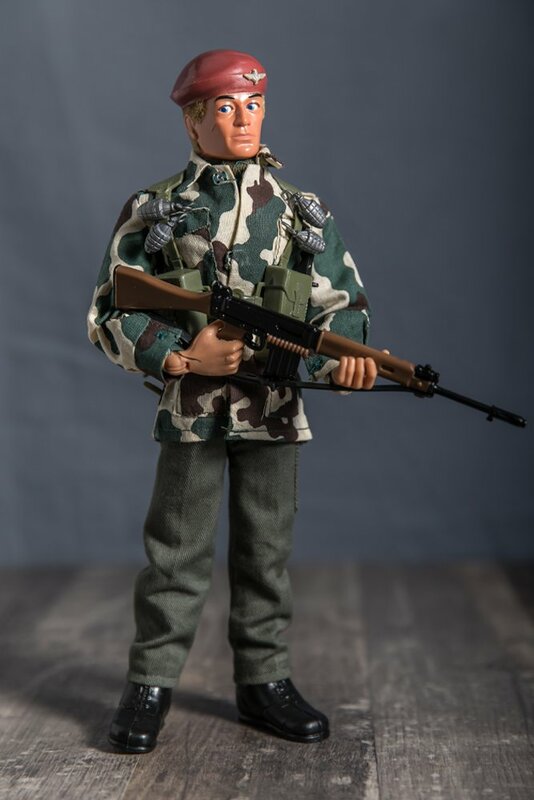 1981 Soldier, Now equipped with a new dynamic body and sharpshooter head position, the trousers were also changed to Camouflage to make him more modern in appearance. 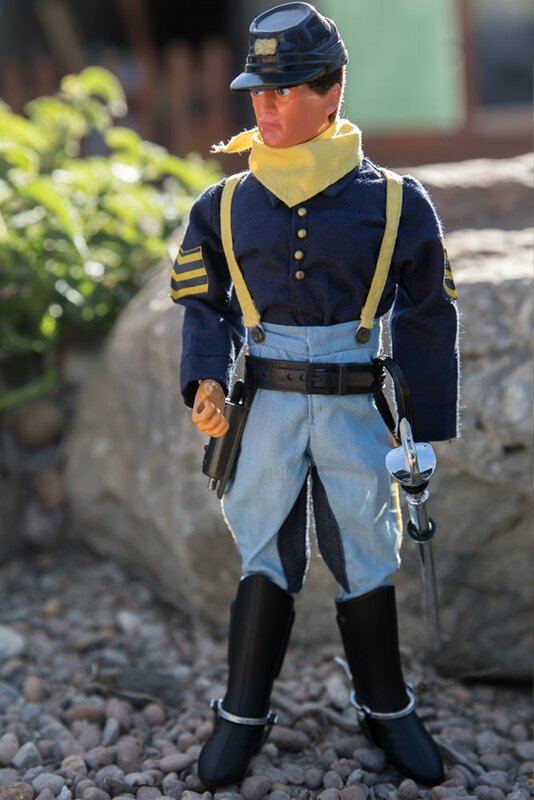 1977 7th Cavalry, Probably one of the nicest outfits from the wild west range and certainly one of the rarest to find in mint condition, normally the rank stripes, bracers and cap badge are missing. 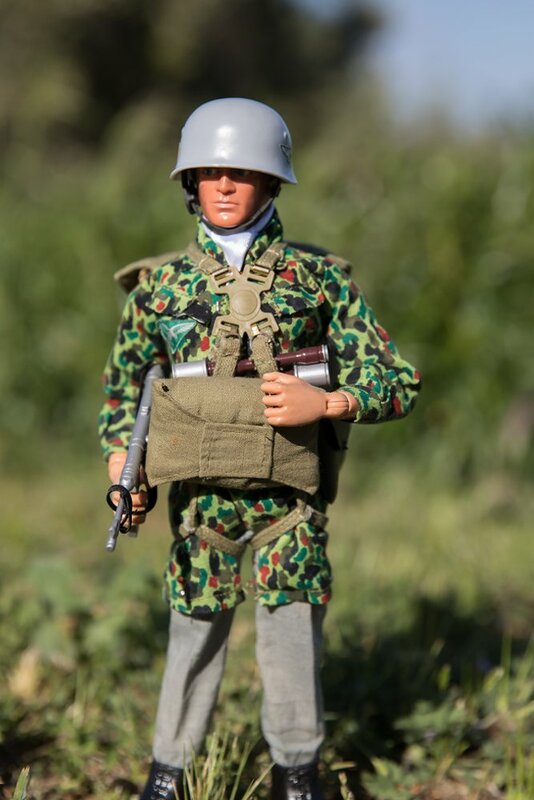 1979 German Fallschirmjäger, Released on the Internationals card this set only came with the smock, Trousers, Helmet and Boots, it was designed to be built up using other Action Man accessories as shown in the image. 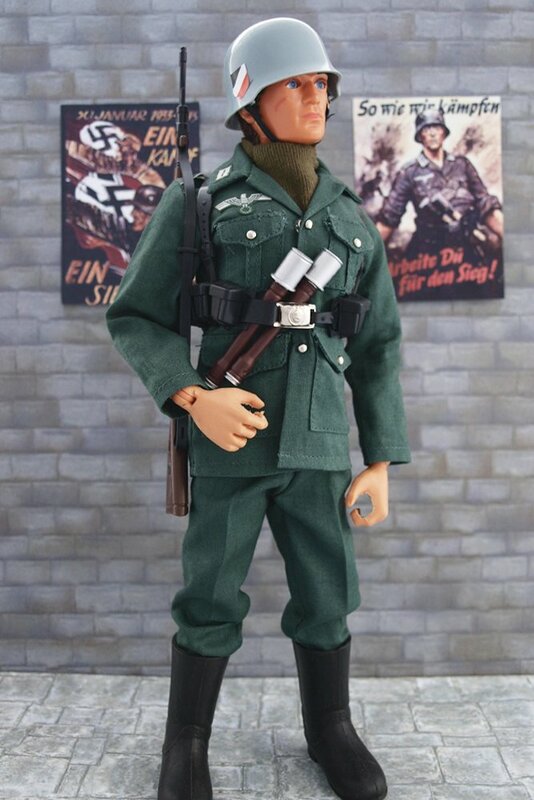 1982 Luftwaffe Pilot, The last of the German uniforms, it was a shame a plane was never produced for this and the Battle of Britain Pilot, the two uniforms compliment each other well. the tunic has fabric stickers often missing. 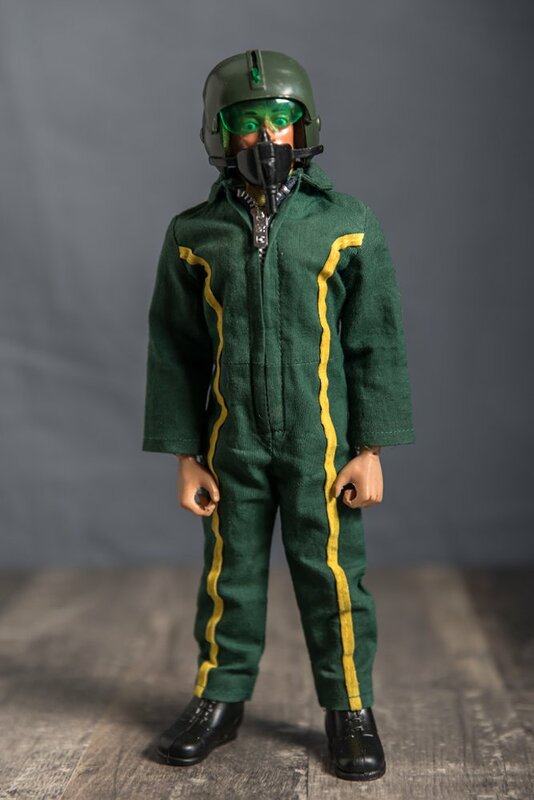 1981 Helicopter Pilot, finally revamped to a more modern pilot with a whole new helmet and overalls, there should be pilot wings and 1st Air Cav patch fabric stickers but these are often missing. 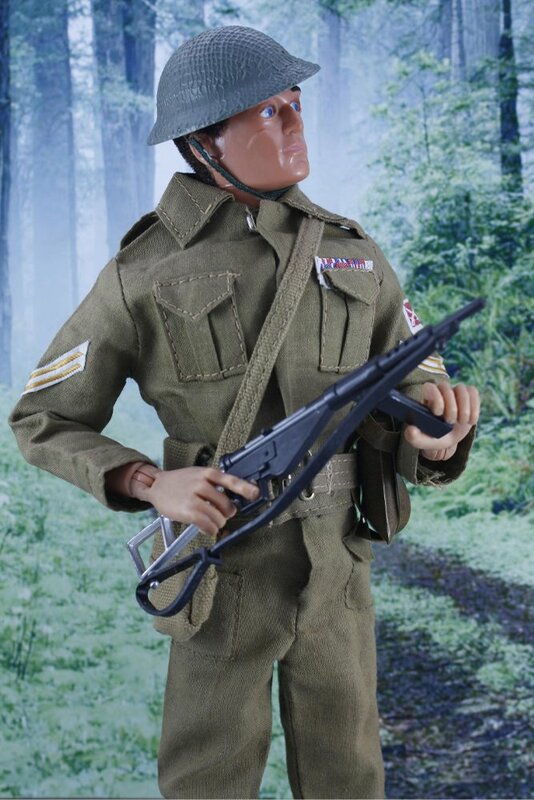 British Major, Released in 1981 with thinner material to match the revamped British WW2 Infantry Soldier and new Royal Engineers, Note the lanyard connected to the pistol is exclusive to this uniform. 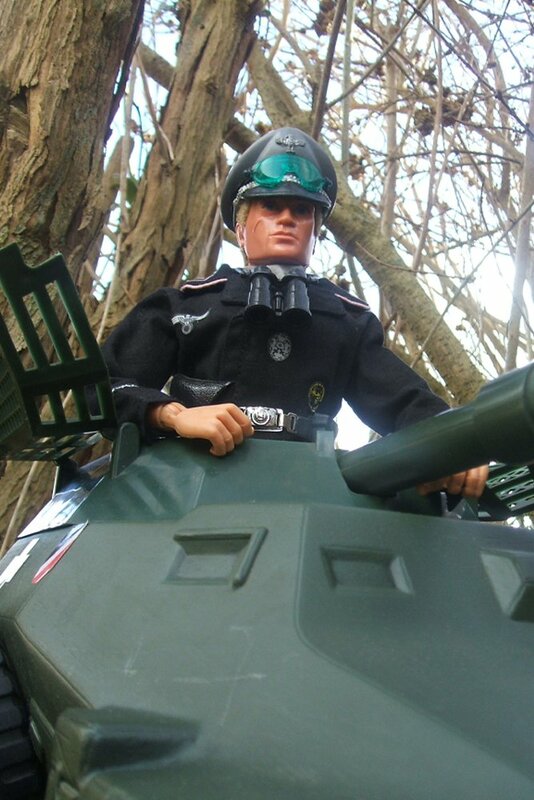 1981 Saw the release of the Panzer Captain, it was a instant hit and still is amongst the collectors, make sure the Tank assault medal, wound medal and german eagle fabric stickers are still attached to the uniform. 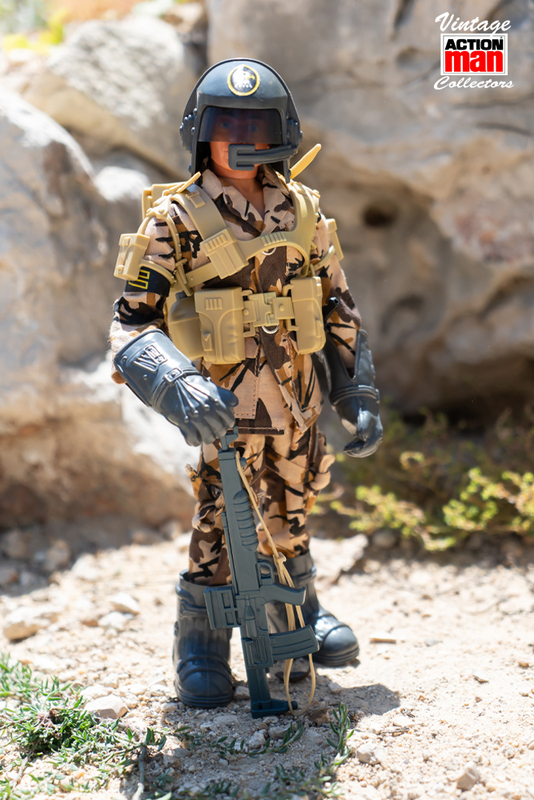 Ground Assault. 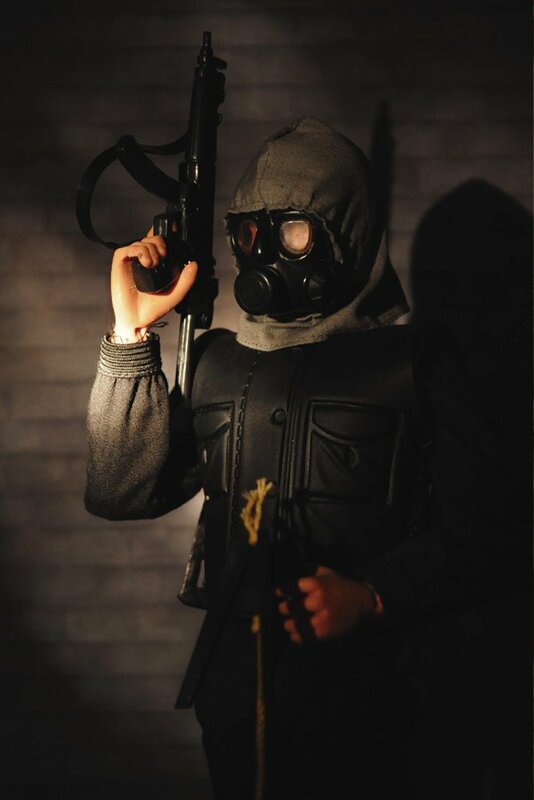 Palitoy starts to stear the range into a more fantasy futuristic theme, code named the special team, this is the more common outfit out of the range, the rubber balaclava is normally perished. 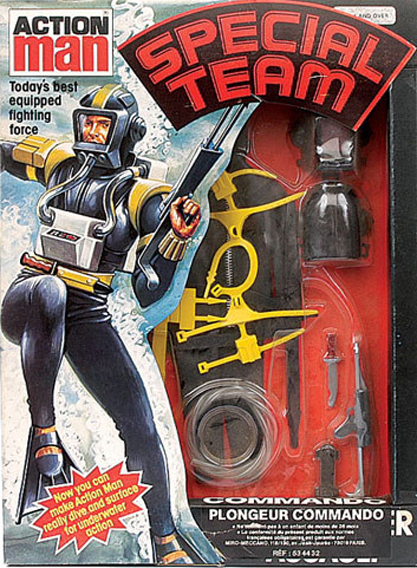 Underwater Assault, as with all special team outfits their are a lot of unique items specific to this outfit. 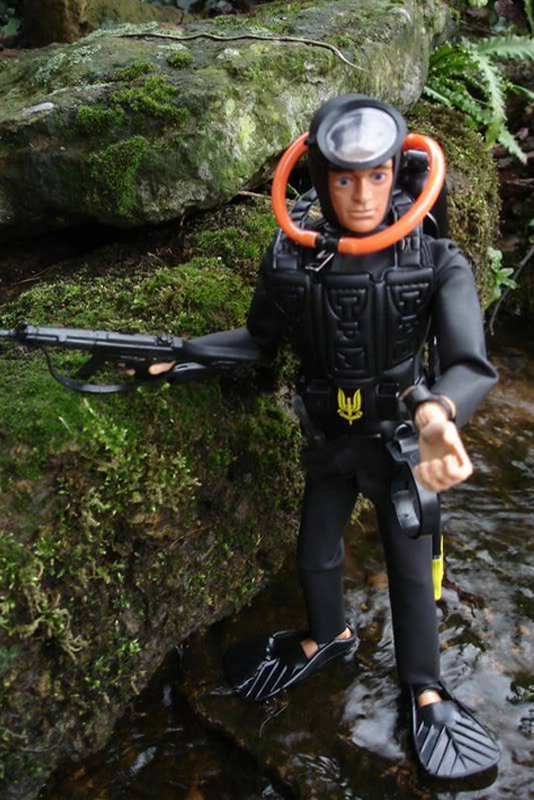 finding parts to this outfit is not the difficult part, but finding an un perished wetsuit can prove difficult. 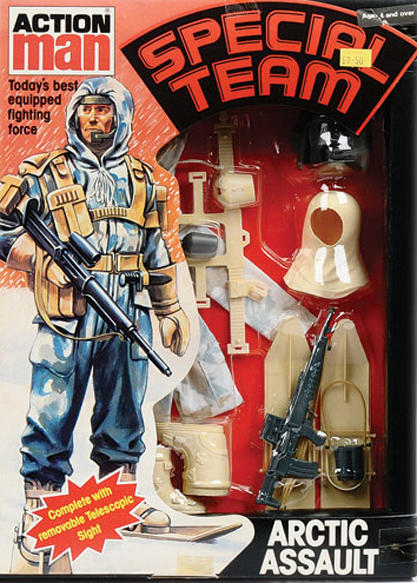 Missile Assault, The fourth outfit of the Special Team series and one of the rarest outfits of the entire 1977-1984 range. 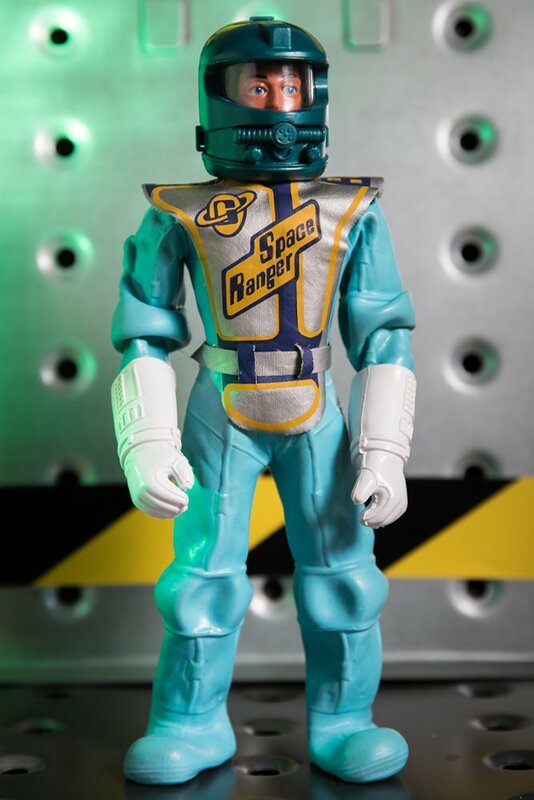 Not just hard to find but when you do be prepared to pay a hefty price to add it to your collection. 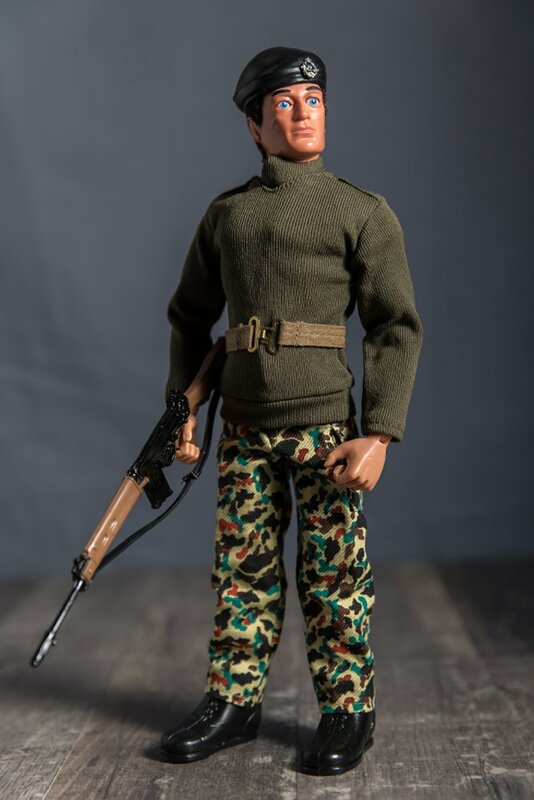 1982 SAS Key Figure, The SAS was thrust into the lime light following the Iranian embassy siege, Palitoy was quick to act, who better to have represent this elite military unit then Action Man. 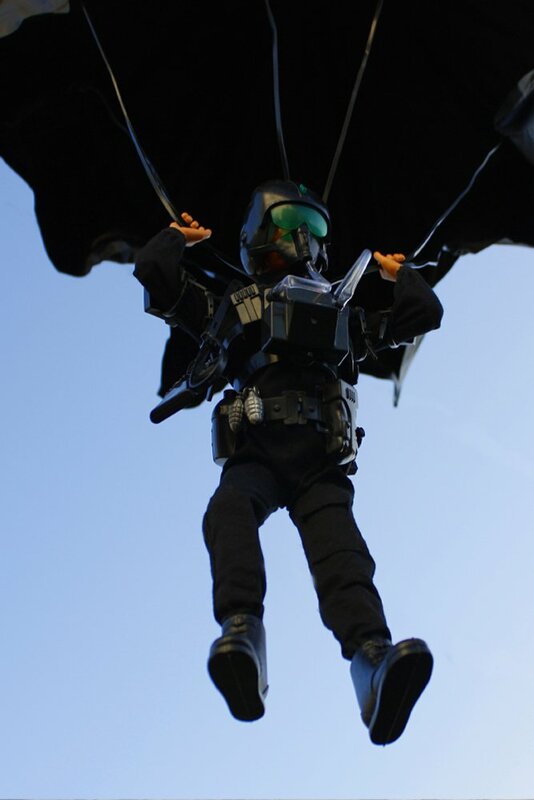 1983 SAS Parachute Attack, The popularity of the SAS Key figure saw Palitoy extend the range further with the Parachute Attack Outfit complete with working parachute. 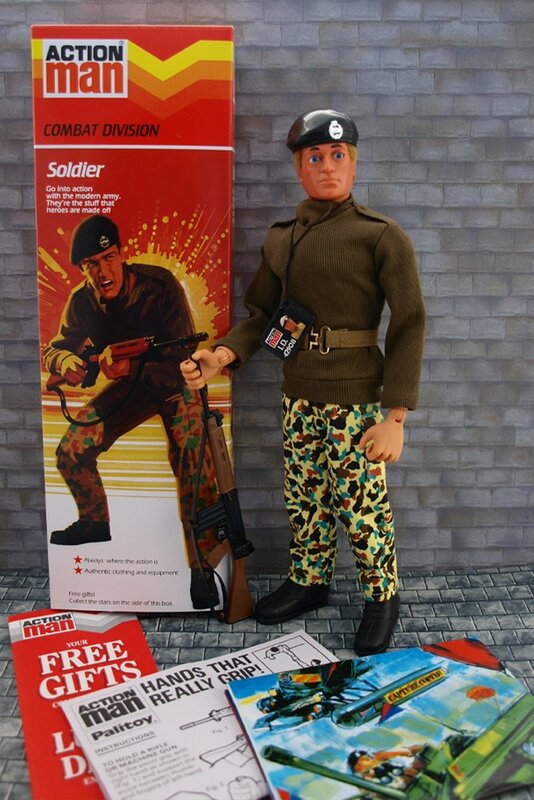 1983 Last Issue Soldier, the only difference with this and the Soldier of 1981 is that now he came with a plastic ID dog tag and the box art changed to the last issue chevron style. 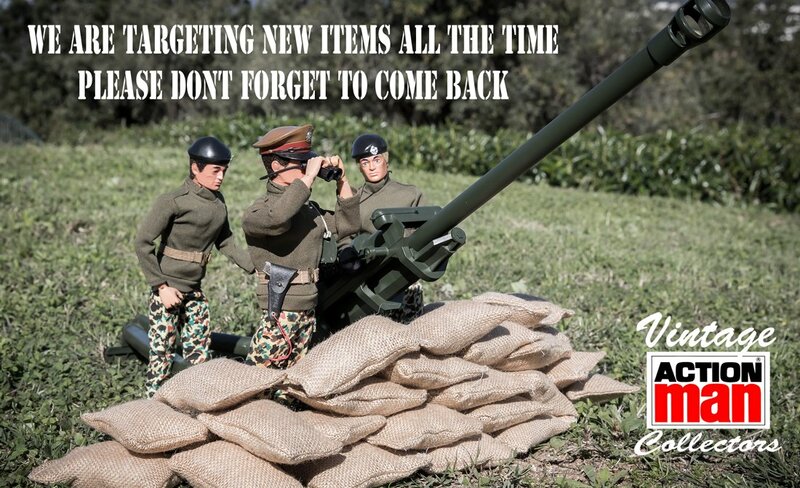 The dog tag can prove difficult to find. 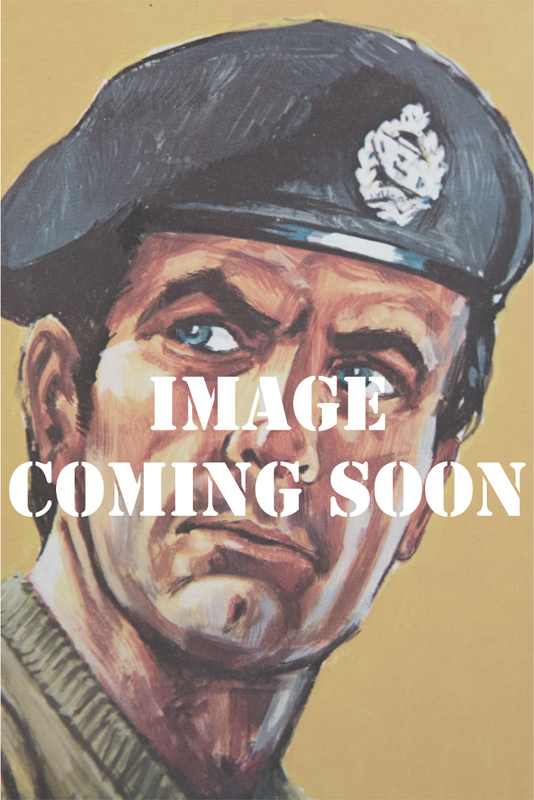 The flag ship of the boxed figures, every child wanted the talking commander, first appearing in this era with plain green trousers then later with camo trousers, the final version would have the plastic ID dog tag and rare SAS cap badge. 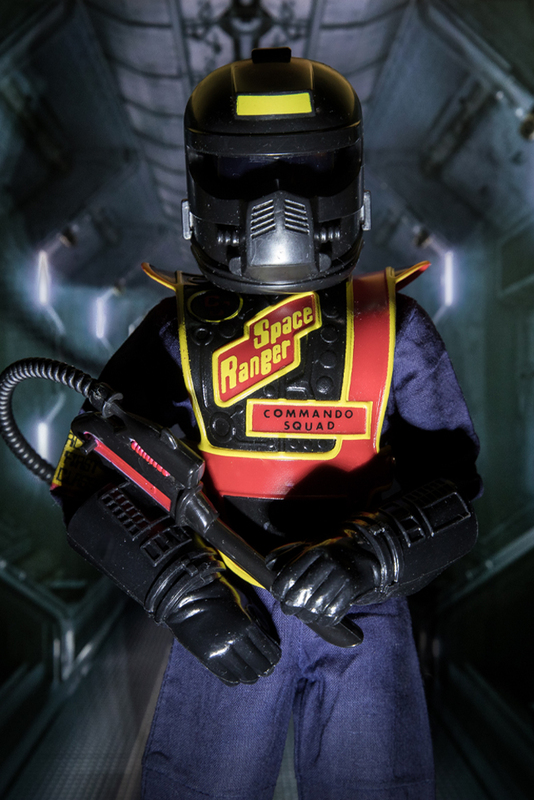 1981 Talking Space Ranger Commander, As with most of the Space Ranger series the Talking Commander is getting harder to find now, Five Random Space Commands and the pull cord dog tag is dark blue instead of green, This is the only Space Ranger that has the ‘C’ logos on his helmet. 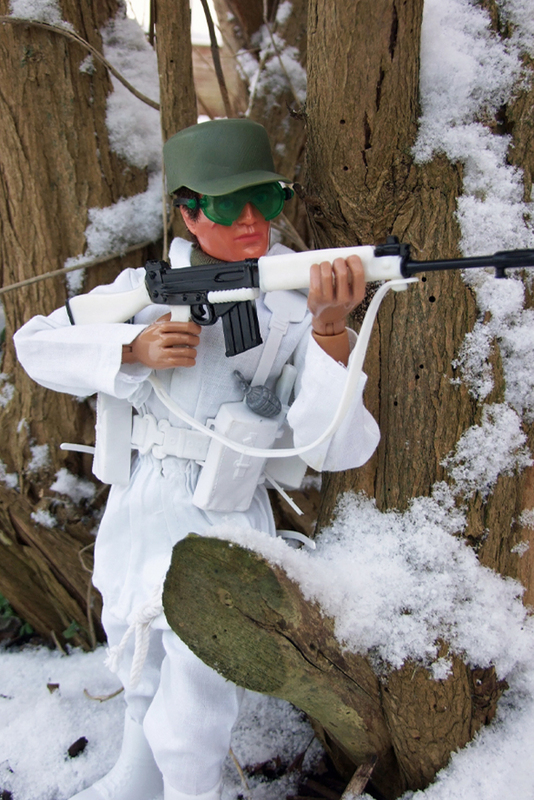 Mountain and Arctic, This outfit was available since 1971 but went through a rehash for the 77-84 period now including Rubber Webbing, updated Snow Goggles with rubber strap and white rubber rifle sling. The skies are now attached with rubber bands. 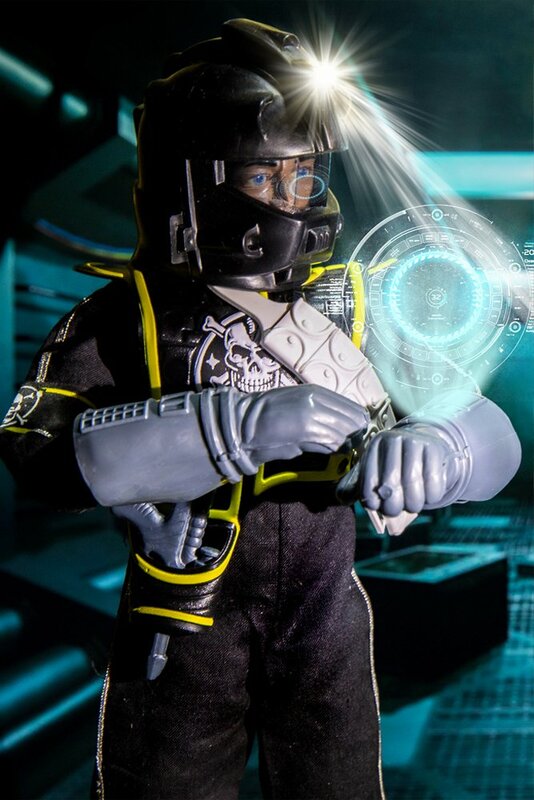 Due to its long production run this outfit is easy to complete. 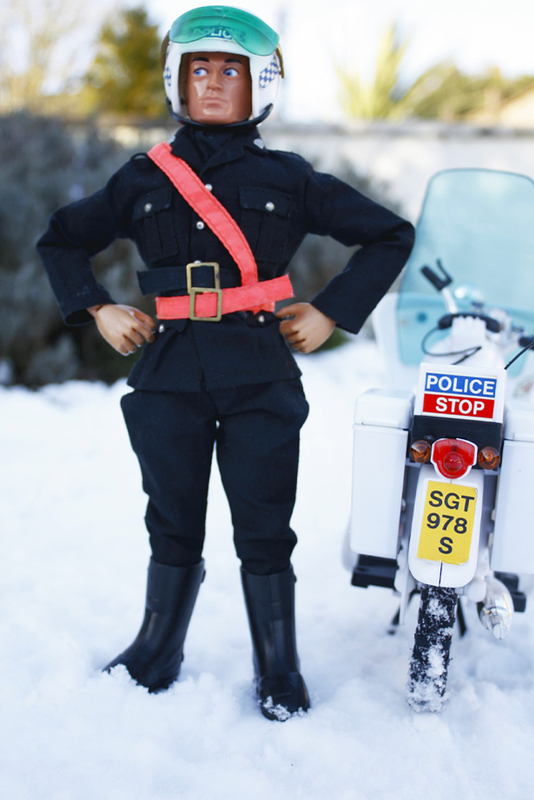 Police Motorcyclist, made to accompany the Police Motorcycle and probably one of the nicest uniforms from the emergency services series along with the Fireman. 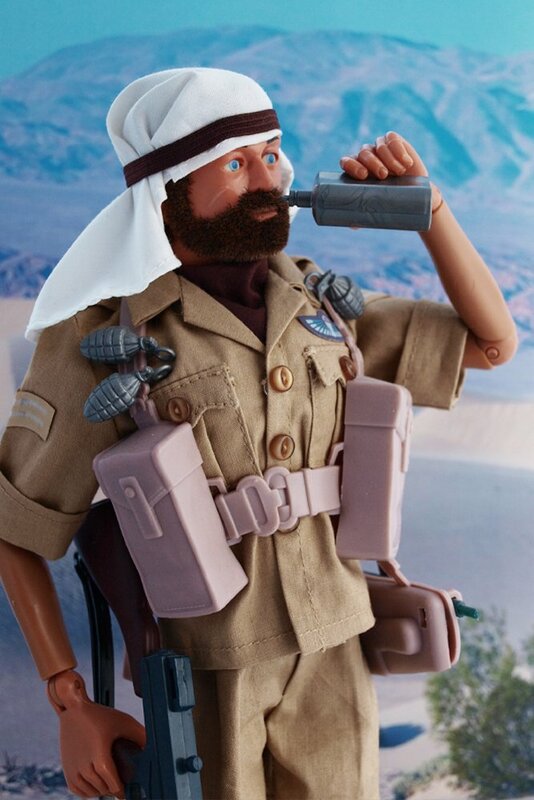 The scarf and high vis belt are the hardest items to find, please be aware that there also a black belt to this outfit. 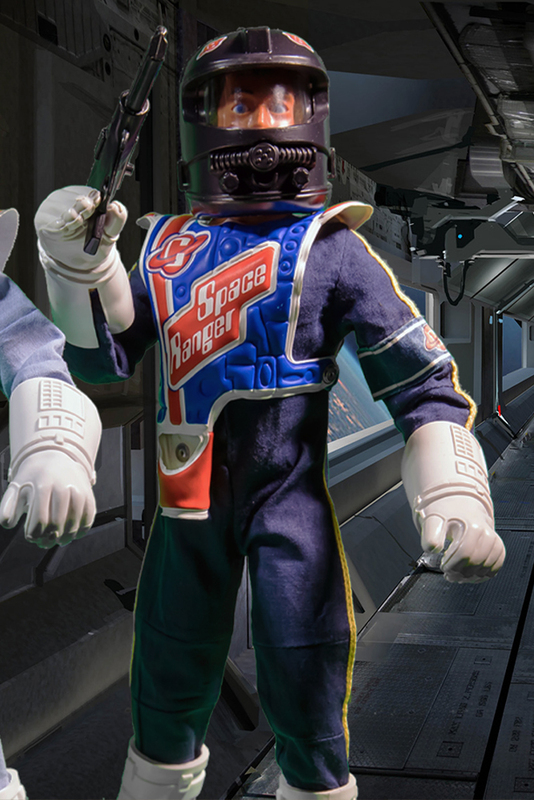 two comes where included but were not included with the later locker box packaging.